Man Utd and Man City are reportedly set to clash in the transfer market as both sides are eyeing a move for Fiorentina defender Nikola Milenkovic. The 21-year-old has continued to impress this season, making 27 appearances for the Viola and has emerged as one of the most talented young players in Serie A. With that in mind, it’s no surprise that interest is reportedly building from around Europe, with Calciomercato reporting that both Man Utd and Man City are ready to compete for his signature. 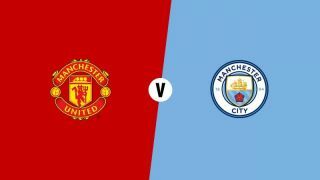 Despite their resurgence under interim boss Ole Gunnar Solskjaer, United have been porous defensively this season while City have the likes of Vincent Kompany and Nicolas Otamendi to replace in the long term. As a result, a swoop for Milenkovic as a long-term replacement and solution could be a sensible move for either club, but with Juventus also specifically mentioned as an interested party, it promises to be quite the scrap for the youngster this summer. Further, given his importance to Fiorentina, the Serie A outfit will surely have no desire to even entertain offers anyway as they continue to chase qualification for Europe, and so it may require a significant bid to test their resolve.